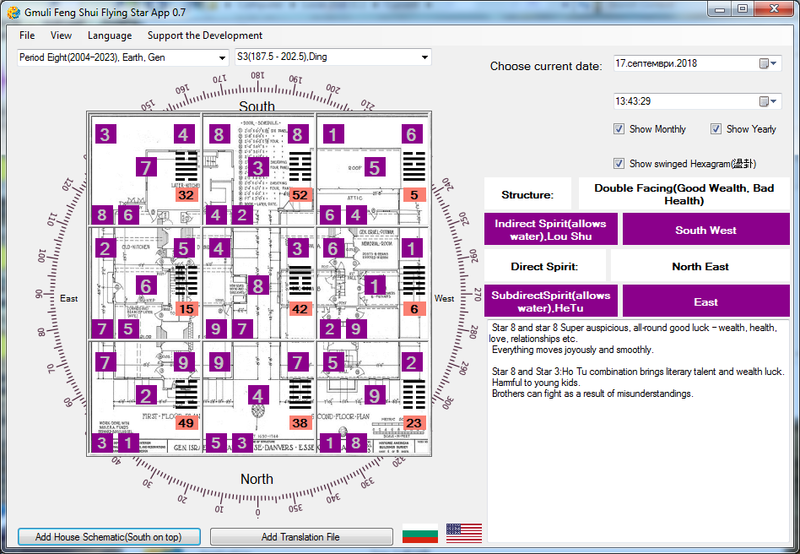 Some time ago I was using flash Flying Star Feng Shui calculator from the webs. 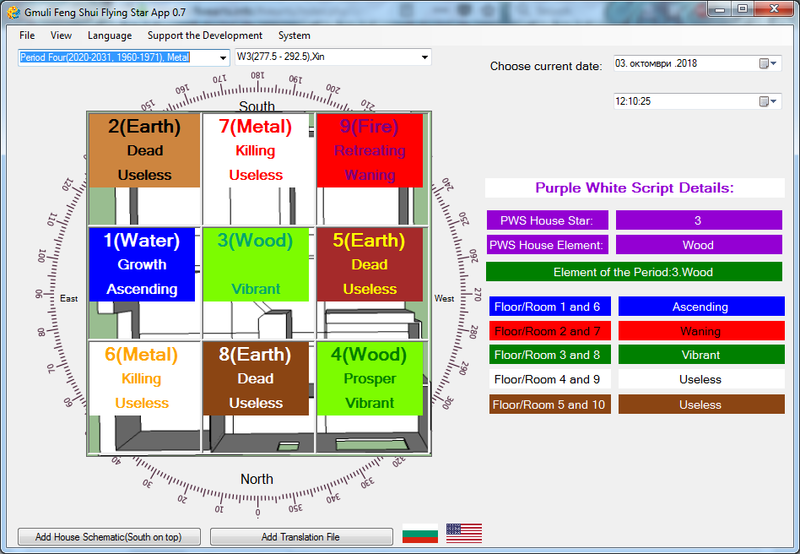 It was really nice, however the problem was I couldn't add text to it, or house plan etc. With that and many modern browsers moving away from flash animation, I decided to make my own. Added some functions I like, that aren't in most FS calculators, like adding text for star combinations, adding house plan image, calculating stuff like "盪卦"(this is when we make Hexagram out of the stars in a place). As usual its free for use/share etc. donations are always welcome, though. One of the reasons Im uploading it now, is because wofs removed a lot of good material from there. One of the articles there had very nice star combinations. While we aren't using the products suggested there usually, the info from the combination is very nicely made in my view. I added it to the app as a .txt file. If someone want to use other text with it can always change it. I'm using a few already, but this one is good for people that are just starting, as the combinations in Ode to FS or Secrets of XK, may need a little more explanation to fully get. Of course, using it directly will have changing accuracy, the idea is to just use it as baseline, then make changes depending on people(trigrams) /elements/images and the forms in the specific house that are involved, in past topics there are explanations how(also in books etc). (seems nice to clarify that for all apps, the link in first post is the link that is always active, if you see an update and no link posted, it means the link at the start has the updated app). I have the full article by LT about 81 combinations in pdf format, enjoy it. I added a lot of stuff from Purple White Script. However the problem right now is that it seems only source in English is Hung Hin Cheong's translation for most of it(HeTu periods for example). While substitude stars can be seen in Kohs book, the rest seems to be only in the translation itself. And I don't feel comfortable posting the update until we have at least one more book in English with it, so we can say its public domain as a technique even in the western world. So update will wait, if someone knows another book that uses it(HeTu periods to qualify the Lou Shu stars) will post it right away. If there isn't, we wait. More will eventually come. Made some changes on the original Flying Star app. Added Great Sun and Moon Formulas, as we are using them lately. Only the first date, however, as I assume its the strongest. Added also Allied Trigrams, that is from PWS, but seemed more on place on the FS part. As mentioned the part of PWS is disabled for now in this version. Added also colors. The idea here is that the stars doesn't always have the colors one may expect. For example star 1 as White Star, color of Metal, however its Trigram is Water. Link same as always in first post.